I returned home to the UK from Senegal nearly six months ago now. I can’t believe how quickly the time flies. Anyone who knows me or has read my blog will know how much I love that place and how it has molded me as a person. To the point that my sister refers to me as a Senegalese wannabe! Whilst I was there I vividly remember my first encounter with this thick yet coarse texture of the hand woven fabric in a market down town in Dakar. It was nothing like any of the handmade techniques I had seen before and I quickly discovered why. Mud cloth is also known as Bogolan/Bogolanfini and it originates from Mali. 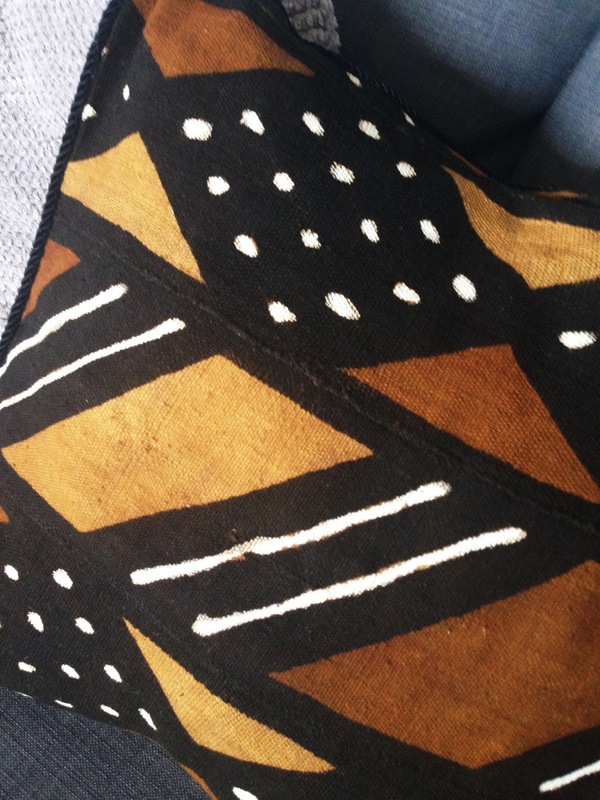 The cloth is traditionally dyed with fermented mud and holds great cultural significance to the citizens of Mali. It is distributed worldwide and originates from Mali. I thought I would clearly state this as I have seen the cloth has been re-categorized as ‘boho/bohemian’ one too many times online, when it’s really not. Some people will call this cultural appropriation but I will save that for another post. 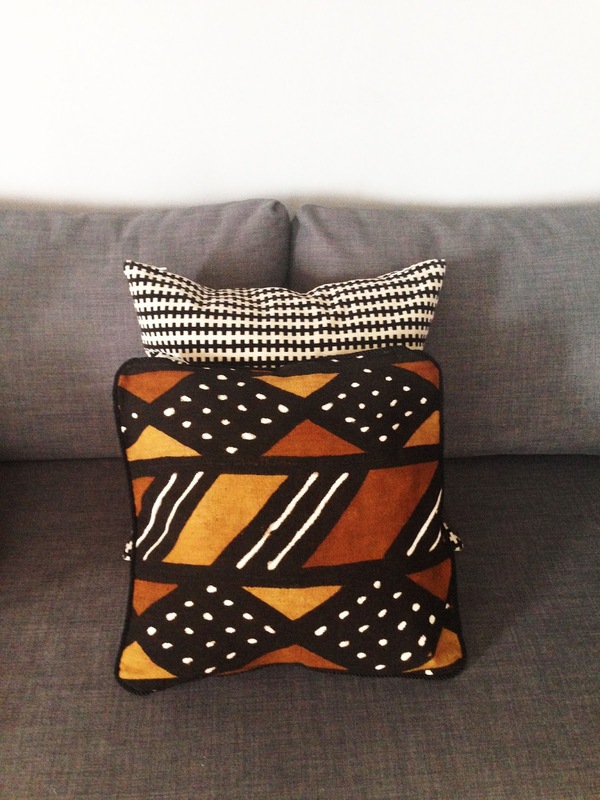 I was glad that Bespoke Binny contacted me, as I was able to relive that experience of my first interaction with mud cloth in the market down town in Dakar. Bespoke Binny is a British gift and home ware brand that offer a range of African inspired interior and stationary products. Not to mentions the aprons and the funky oven mitts! 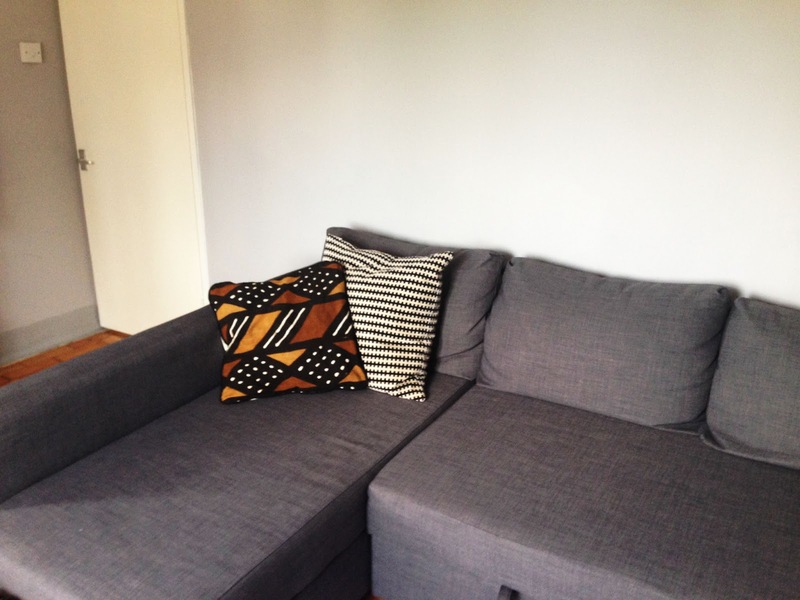 Who would have known that the narrow stripes meets bold print of Mud Cloth cushion alongside mink grey walls are a match made in heaven? Bespoke Binny’s ethos of home living and wellbeing really resonates with me. I am at home but at the very same time I’m not. Perhaps that is just a travel bug thing. Home is where you feel safe, somewhere you should have comfort and peace of mind. I guess your home/your rented room/apartment can be anywhere in the world, but wherever it is make sure it reflects yourself. Whether that is through the vibrant colours, patterns, heritage or in my case a memory, rooted in the beauty of African expression. 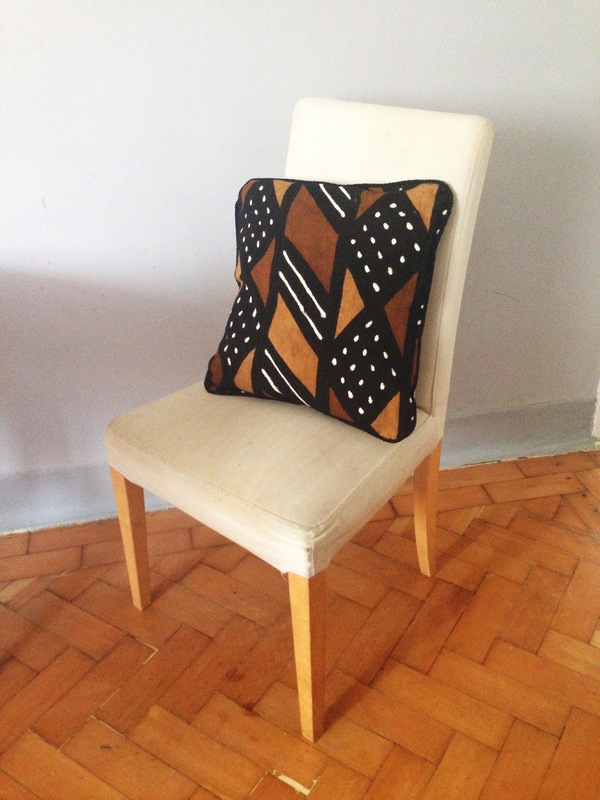 This mud cloth cushion by brings all the warmth a room needs.